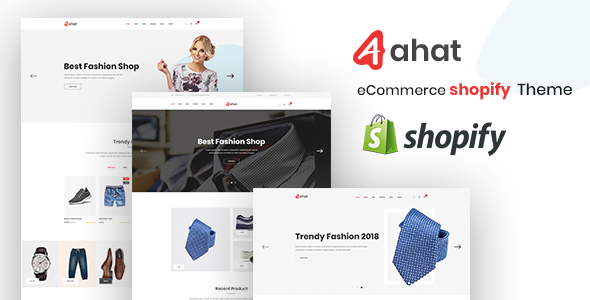 Aahat – eCommerce Shopify Theme for multipurpose (Fashion, apparel, sunglasses, accessories, mega store, watch, cosmetic, clothes, bag, bag store, cosmetic, fashion Theme, Multipurpose Theme, responsive, watch store). It’s fully responsive design ready suitable to any device. Drag & Drop Menu and Layout Content Builder, you can easy customize or manage your site just buy some drag and drop operations in the admin panel. Minimalist blog layouts help to enhance your blog’s design and increase website’s traffic. Each demo is equipped with an accompanying set of beautiful, practical, and creative inner pages. The brands slider is another important section of your website. Some advantages such as It gives the customer an overall look at product brands that your site provide. If your products are created from a lot of manufactures, it is a great idea to put all manufactures logos in brands carousel. Comments from other clients are also essential for customers while visiting your store. A beautiful client saying section will help to feature what your clients say about your products as well as your services. Besides, it makes your website look more professional. If your products have a wide range of colors, this feature is absolutely significant! You are able to add any custom colors to your product variants. We can’t be denied benefits that quick view feature brings to our customers such as decrease time-consuming and expedite shopping. It is obviously a must-have feature for any Shopify store. Now is time for you to discover live demo of our theme for more visual experience! We are sure that it will be suitable for all of your needs! What ever you are using the device your site will run as it should be. Aahat theme is fully responsive layout for all type of devices. Blogging very important! We designed beautiful blog page theme and single blog styles for your news and updates..